Whether it's a flash flood or a slow onset flood, excessive amounts of water can cause significant damage. Nebraska Extension is your trusted source for flood-related information. Our campus and county-based experts are ready to help you get the answers you need. Recovering from a flood can be an overwhelming task. 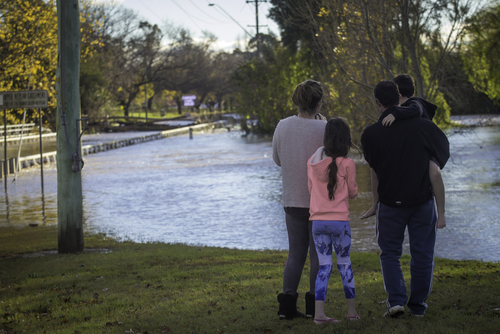 This brochure outlines the first steps you can take to recover from a flood and tells you where you can get more information. If you're concerned your private well may have been contaminated by flood water, here are some considerations for protecting your well, testing your water, and how to treat it if necessary. Flood-damaged grain is considered adulterated due to the potential for chemicals and other contaminants in the water. It's also at higher risk for mold damage. This Iowa State University story discusses how to manage this grain while protecting the remaining good stored grain.